The rooms are almost completely made out of wood. 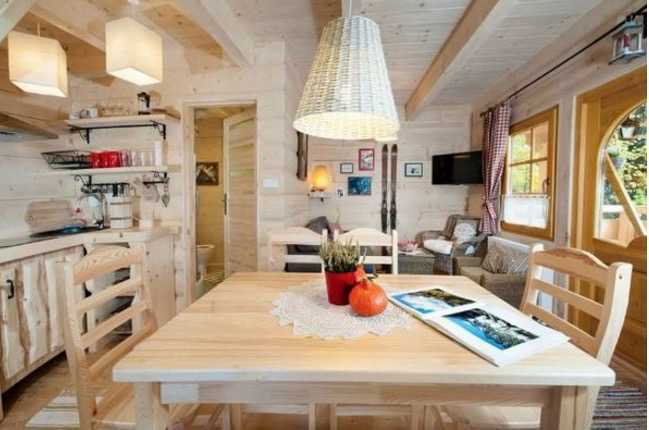 It will definitely give you the feeling of being on a winter holiday somewhere in the mountains. Just grab your skis and enjoy a day in the snow! Or, if you don’t feel like going inside, stay in! 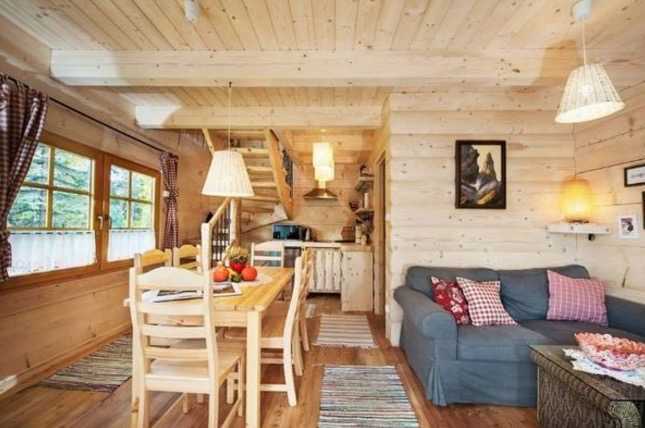 The home might be small, but there’s plenty of room to entertain yourself. The home has beautiful details like this wood staircase. 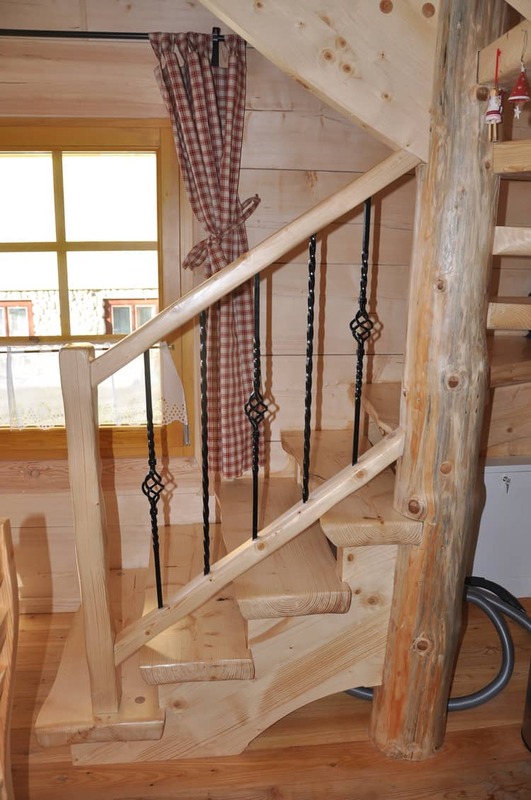 None of the steps are the same, which gives the overall stairs a rustic look. Can you imagine spending a rainy day inside this lovely living room? We’d love to curl up with a good book on that sofa. 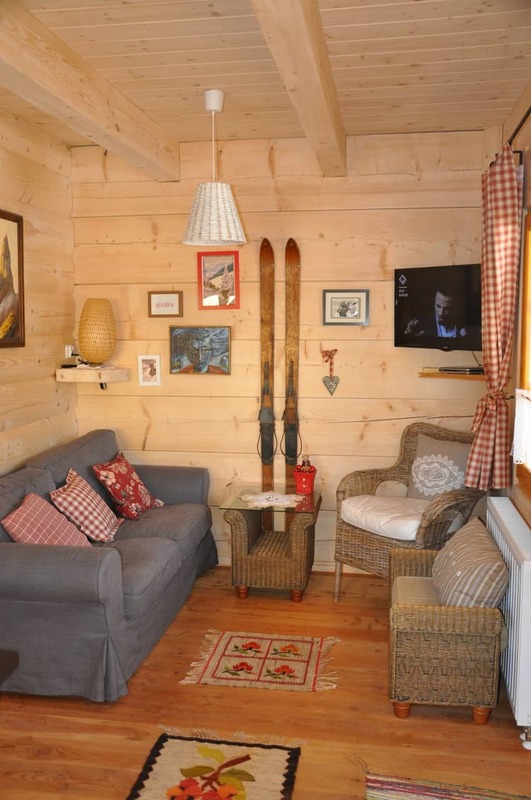 Sit under a cosy blanket, have some tea… This wood room is the perfect place to relax! The home might be small, but there’s plenty of space to have a nice home-cooked dinner at this lovely dining table. Eat with your family or ask over some friends and have a nice dinner party. You’ll have the time of your life!